As you may have known, Final Fantasy X will have no conventional experience points or levels. Players will only earn AP (Ability Points) for completing a battle. When a character gains enough AP, his or her Sphere Level, or S.Lv, will increase by one. Sphere Levels are used to move characters around the Sphere Board, a magical board made up of connected circular tiles. (A screenshot is available below.) Each party member has his or her own position on the Sphere Board. To move a character along the board, the player simply selects the Sphere Board option from the menu and chooses the character. However, every tile traveled across consumes one of that character's Sphere Levels. Depending on what sort of tile the character ends up on, the player can then use Spheres to augment the character's statistics. Spheres are found in numerous varities, such as Ability Spheres, Speed Spheres, and Magic Spheres. (It's not yet known how Spheres will be acquired, but they will probably be acquired from chests and battles like any other item.) Certain Spheres can only be used when on certain tiles -- for example, a given tile might only permit the use of Ability Spheres. Further adding to the system's complexity, a Sphere's effects change depending on where it is used. 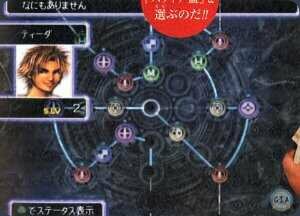 Below is a listing of complete Sphere Board Map in Final Fantasy X. 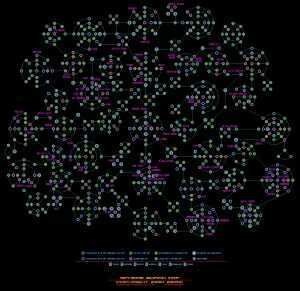 Thanks to [email protected] for creating such a wonderful Sphere Board map in image form, enjoy yourself!